You are really knocking these out … I am in awe! I like the muted colors you chose for the sashing and border. Nicely done! 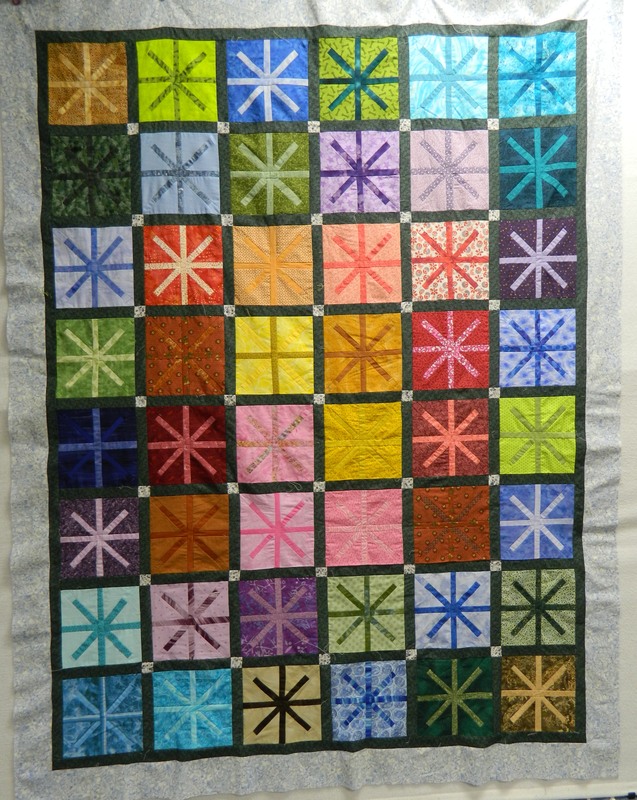 What a pretty, modern looking quilt. Love the color combinations. Thanks for posting. I didn’t think I liked this block when I saw it originally, but your quilt positively sparkles! Well done! Very Pretty, I like the sense of balance you have created with so many different colours, contrast levels and patterns…your use of the higher contrasts to the outside edges plays well with the expectations of the lower contrasting center blocks to burst forth…I find that challenging. Good go!